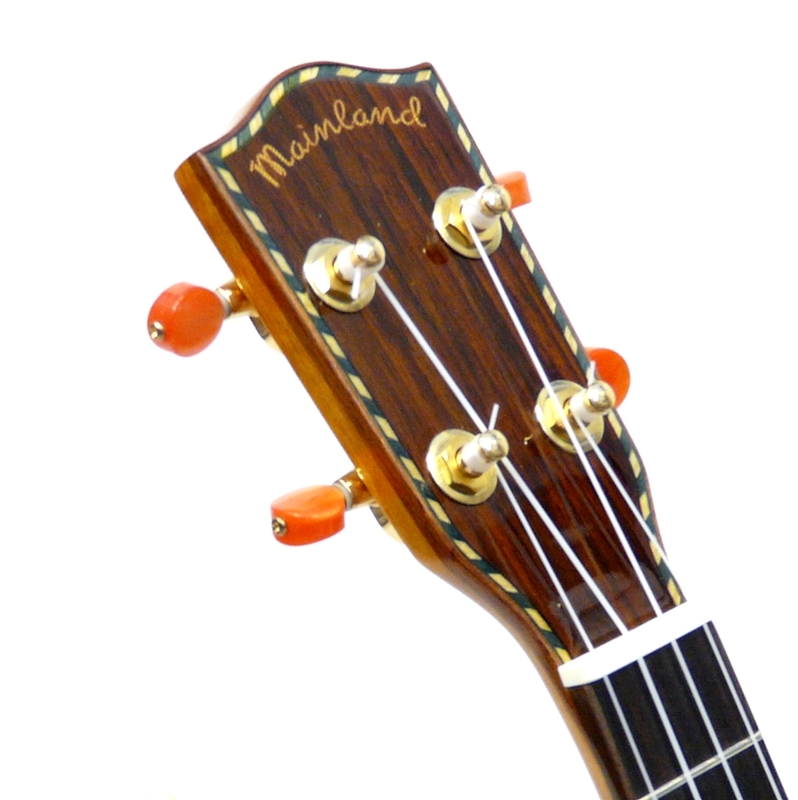 Mainland Ukuleles má nejlepší povest na střední cenovou skupinu. 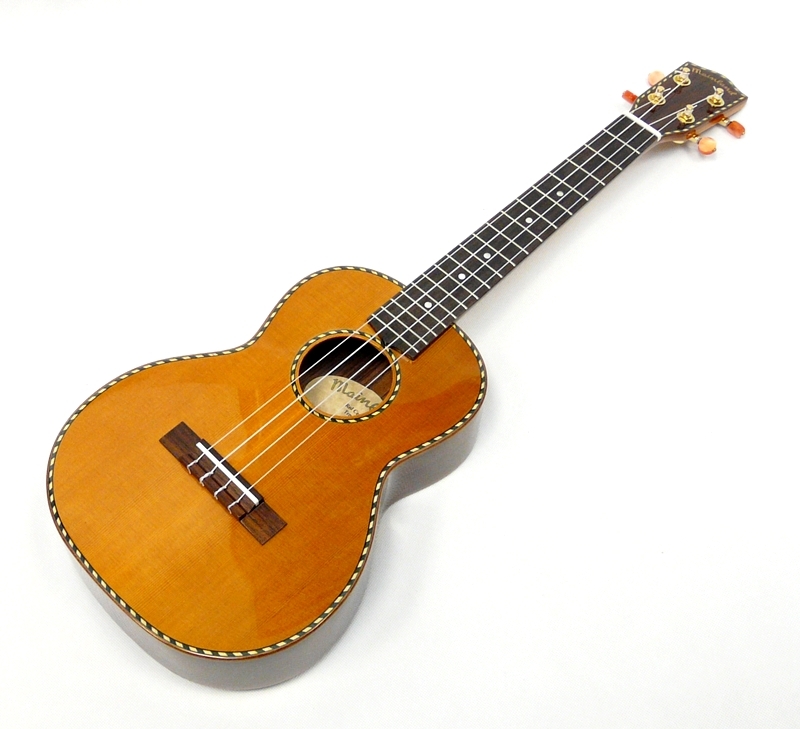 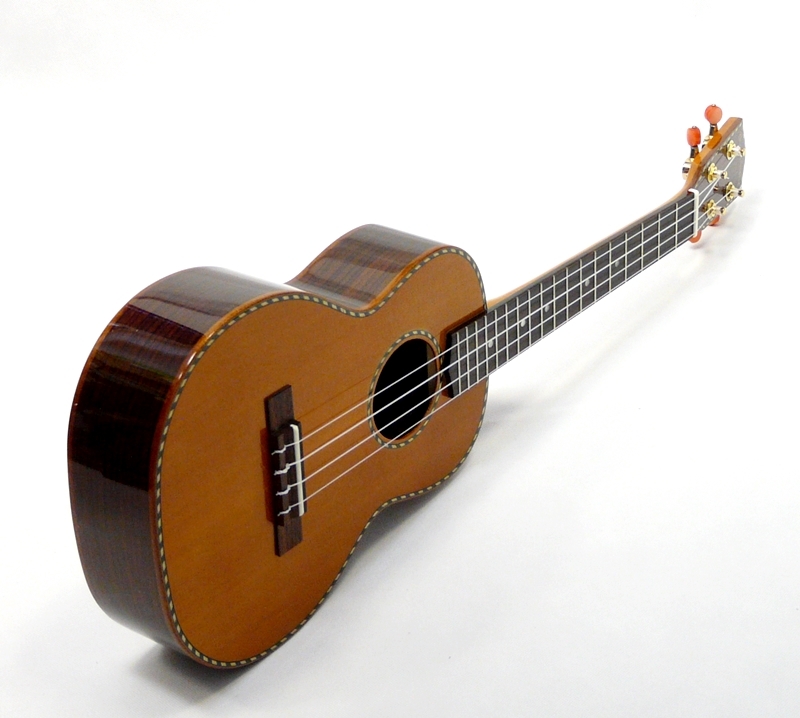 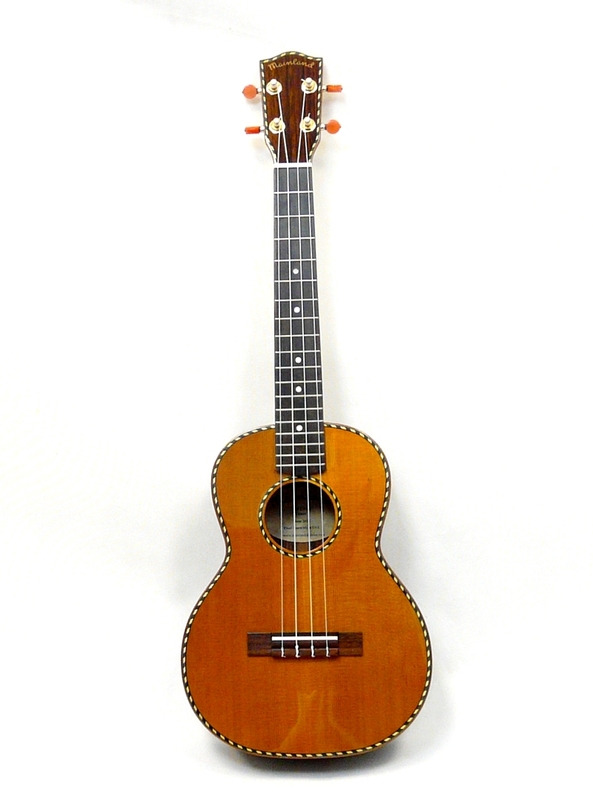 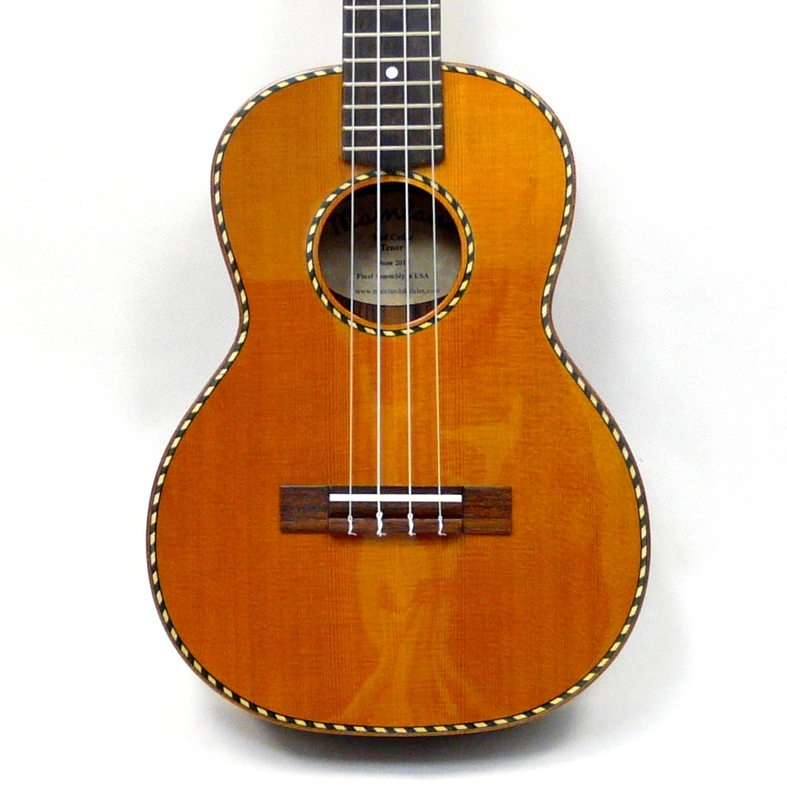 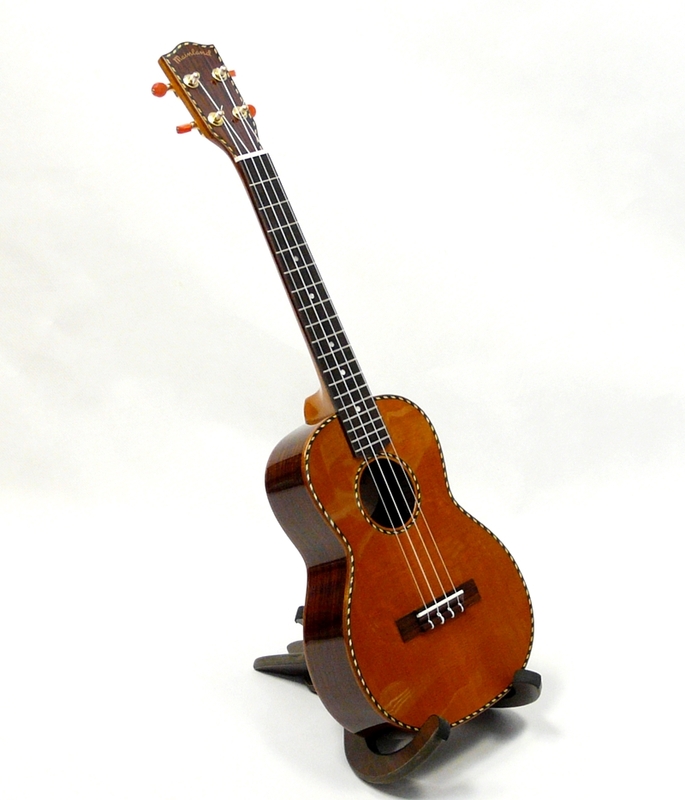 Great sounding all solid wood ukulele from Mainland in the USA. 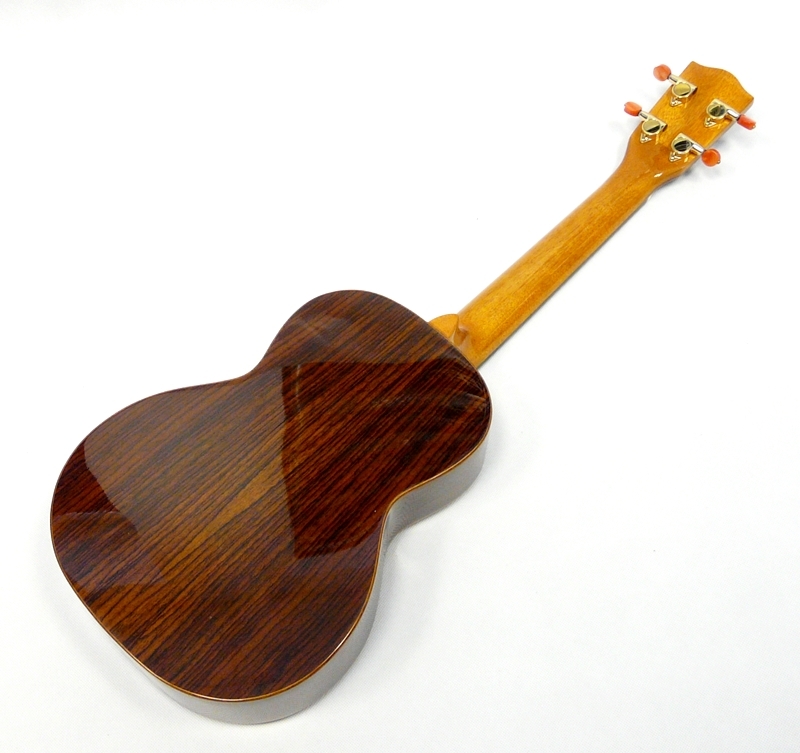 Red cedar sound board and rosewood back and sides, comes in high gloss and finished with gold tuners with amber buttons.